This is a bit of a delayed reaction. I believe you said you’re setting the script on Catalina Island? I might have said, in a delusional state, that I could fake that with exteriors and such easily. Well, I can’t. And now I’m panicking. I don’t want to have you integrate key elements of being on an island into the writing only to have you have to completely rewrite it. It’s probably safer just to set it in generic LA or Bev hills, or just generic locations. I don’t want to throw a wet blanket on your writing weekend but, this hit me so hard I felt I had to email you asap. We can discuss further if you want. Thanks! What about shooting footage in Malibu or Santa Monica and pretending it’s an island setting? (ocean views) It doesn’t have to be shot on the island. She’s not going down without a plea to keep her island setting and she’s being quite reasonable. They don’t call it movie magic for nothing. Shots are faked all the time. Plus, her producer, moi, originally suggested faking it as an option in the first place and in a moment of temporary insanity originally said, “okay” to it. She’s totally in the right here. And maybe I can find someone’s house to shoot from in Santa Monica or Malibu. Maybe being the word that makes me nervous. The reality is I don’t have an island, a house on an island or a house in Santa Monica or Malibu with an ocean view to fake an island right now. I don’t feel confident I can deliver because I don’t have it to fake or create from right now. I call her immediately and we talk it out. She’s disappointed. Although she hasn’t started writing pages yet, she’s been developing her outline with the location in mind and it includes a beloved cabana boy. “Just call him a pool boy,” I offer as a consolation. Have I mentioned I’m a little busy? Now that I realize I let an island slip by as a location perhaps I’m a tad too busy. Which glaringly reminds me I must slow down and address the elephant in the room to myself, my two sisters, mom, Aunt Wanda and Uncle Fred reading this: How do I plan on pulling off producing three narrative features this year without millions, a studio, or Angelina Jolie? I was incredibly inspired by Mike Carroll’s experience in his book, Naked Filmmaking. It’s all about how he made his first narrative feature film for ten grand and I plan to do the same. (for an example of this type of filmmaking, think “Lord Byron” which was a big splash at Sundance last year and it was made for $1000, or “Hump Day” shot over 10 days on a shoe-string budget, or, Edward Burns “Newlyweds” shot on the 5D for $9000.) But I’ll be honest, considering the island snafu, I’m not 100% sure how I’m going to brush my teeth tonight let alone make a movie from two twigs, some twine and three dollars. So, confidence is low. But, I remind myself why I’m doing this: 1) I don’t want to wait anymore for the aforementioned moola, MGM or Mrs. Pitt, and 2) This is a project to exercise my creativity and to learn and practice the art and craft of filmmaking. It’s my thinking I’m shifting, right? I have to think differently. I have to think outside the box inside the box and create from what I have no matter how impossible it seems, feels or actually is. That’s the plan, in theory. Time to actually do it. And I must start by guiding one of my screenwriters to potentially lose her fantasy island. 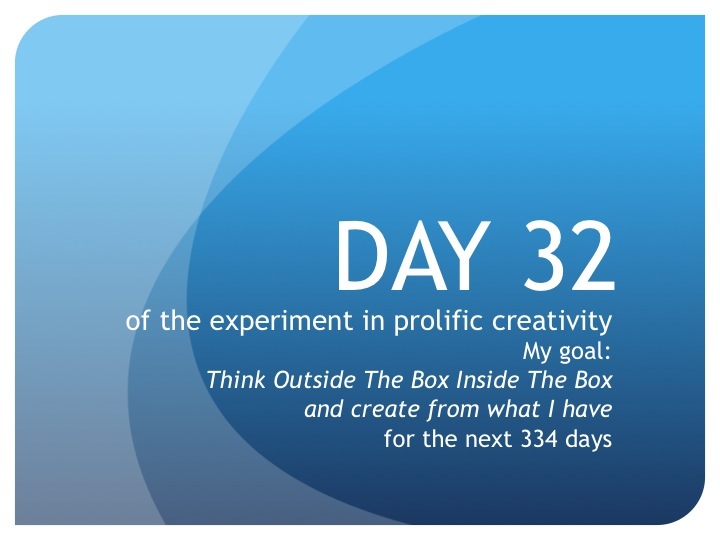 Onward I go, thinking outside the box inside the box—making mistakes—and creating from what I have. Who knows? Maybe by the time this script is done I’ll have an island or an actual elephant to create from. Until tomorrow, create from what you have…and if you have an island, a house on an island or a Santa Monica or Malibu house with an ocean view I can fake as an island, give me a call. 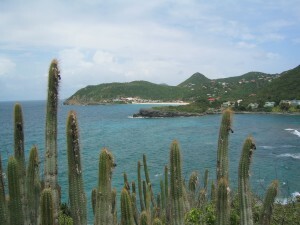 As said screenwriter, I mourned the island loss for a day. 🙂 Now, it’s an exciting and worthwhile challenge to create that imprisoned like feeling within the confines of a city. (creating from what we have) Fun. Or, maybe I wouldn’t go to fun, but enticing nonetheless. Maybe there will be someone on my trip to Catalina that says, “use my house, I insist,” she says, waxing dreamily…. I like where your head’s at!!!! !